St Columbas High School was the centre of the fashion scene on Thursday 29th March when the pupils from the schools Interact Club staged their charity shop catwalk show, complete with Dunfermlines very own top model as mentor and model. 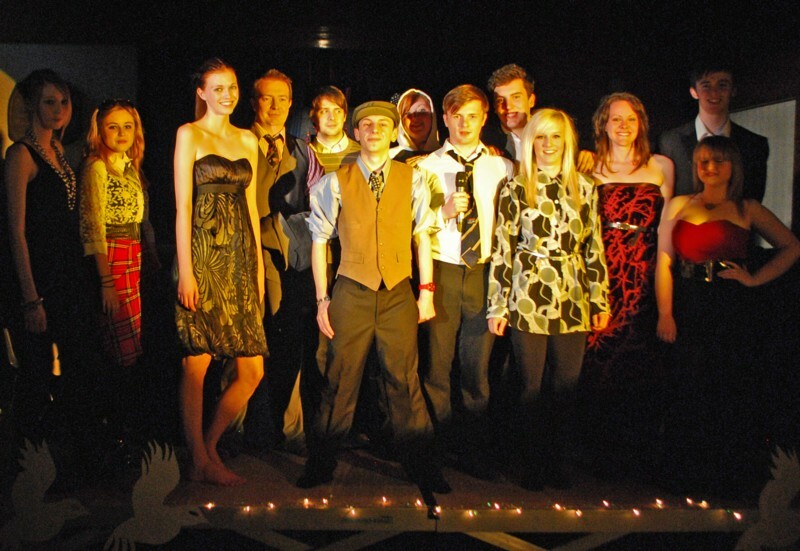 Not only had the Interact Club, which is a youth Rotary Club, organised the event but had designed the outfits using donations to local charity shops. The enterprising pupils also drafted in expert help from Terri McGlone, voted Scotland's New Face 2010 who taught the girls and boys how to strut their stuff on the catwalk! Proceeds from the show will be divided between Cancer Research, Shelter and Debra charities. President Stephen Chorley of Dunfermline Carnegie Rotary Club which sponsors the Interact Club said, We are delighted with the Interact Club as they are all keen, active members who take their community and international projects very seriously but have a lot of fun in raising money for good causes. Brian Cowan, teacher at St Columbas and co-ordinator of the Interact Club said, I am very proud of the students, particularly the enthusiasm and determination they have shown in putting this show together. The main organisers have developed great leadership skills and have worked extremely hard to see this project through to completion. It has been a great success. The Interact Club meets once a week in school and has also been involved in the recent Bikes4Africa appeal.